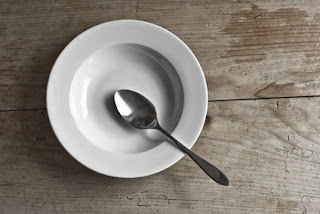 food abiding citizen: Etiquette tip: Spoon, or no spoon? So sometimes you see a spoon, and sometimes you don't. What exactly is the right way to eat your pasta? For a long time, I thought the right way to eat pasta is with a fork and spoon. You would separate a small amount of pasta with a fork, then twirl it into a neat bundle on the spoon and then eat it. Classy and mess-free, but a true etiquette faux pas - In Italy, your waiter might even display a look of disbelief if you asked for a spoon. According to Italians, "spoons are for children, amateurs and people with bad manners in general". * They are trained at young age to eat their pasta by twirling it on the bottom curve of the serving bowl then placing it straight to the mouth. If it gets messy, it would usually mean that there is too much pasta on your fork - try taking a smaller portion for your next bite. However despite the above, it is also accepted norm in some communities for a spoon to be set out on your table for eating pasta. To ask for the spoon to be taken away is also considered rude, so politely leave it to the side.